Linda has read about my mosaic project in the local newspaper ad thought it would be a good idea for me to visit her kindergarden class to shoot portraits of the kids. 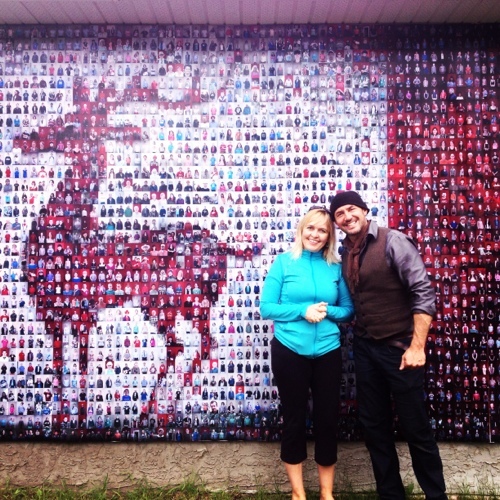 A few days later, I spotted Linda pulling up in front of the Red Deer mosaic, so I had to document our reunion! 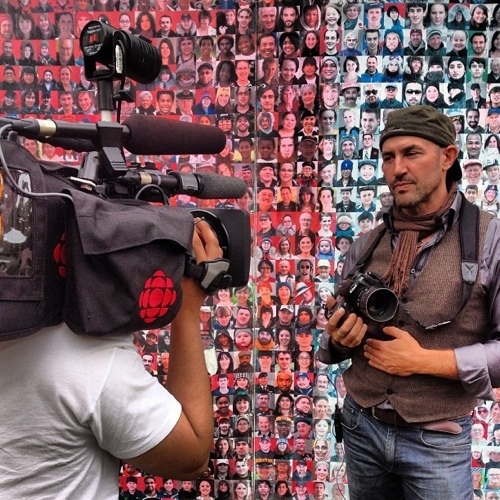 Thank you CBC for helping spread the word about the Canadian Mosaic Project. 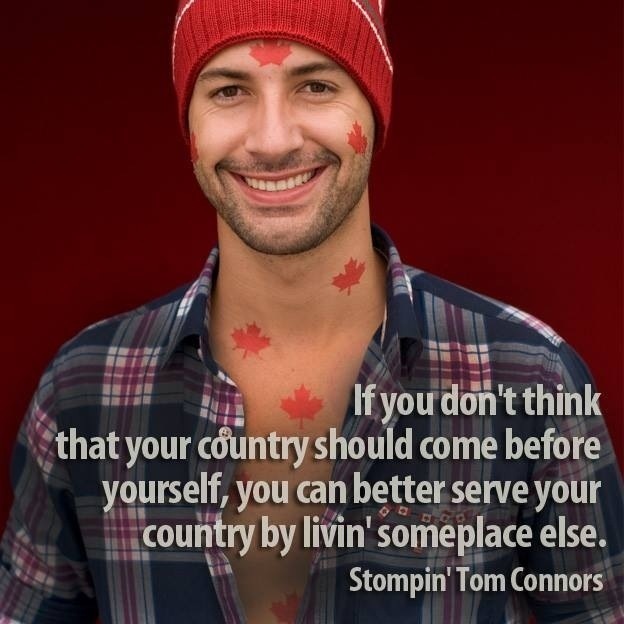 They were in Red Deer today shooting me at my studio! Some of the stories people share with me really resonate within. I met Caesar and his wife Gigi in front of the AGO in Toronto. Caesar had had a stroke leaving him wheel chair bound. Gigi, stood by him through it all. True love put to the test. 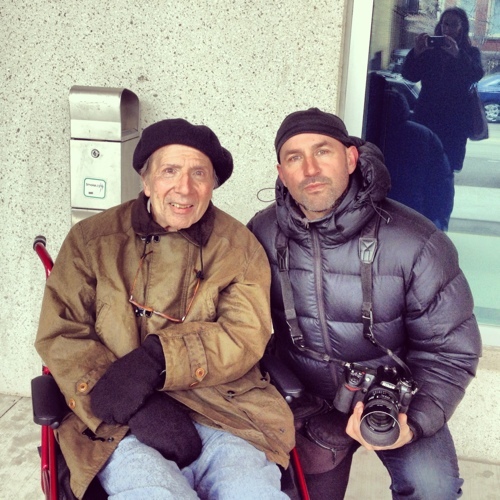 They wanted a photo taken with me, I was more than willing since their story touched my heart. 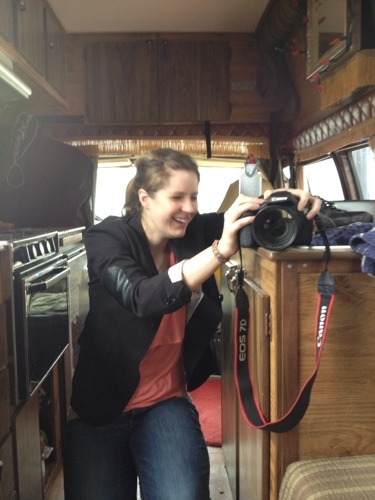 A CBC reporter sets up her camera to take a few pix of me editing photos in the back of Maple the van, in Hamilton, Ontario.